home In The Spotlight, Stay & Play Celebrate summer – your way! Endless possibilities abound when it comes to spending a summer day in Coronado or jaunting just over the bridge. Whether you want to get out on the water, salute the troops, enjoy nature’s bounty or just be a good sport, we’ve got you covered! Award-winning beaches, glistening bays and crystal-clear swimming pools are beckoning you to take a dip! Coronado’s beaches rank in the top 10 in the world year after year, according to geoscientist Stephen Parker Leatherman, aka “Dr. Beach.” Build a sandcastle, play beach volleyball, and practice your stingray shuffle in the salty Pacific waves. Boogie and skim board rentals are available at Little Sam’s, 1343 Orange Ave. or (619) 435-4068. 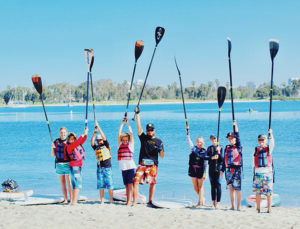 If you have water babies, both Tidelands and Glorietta Bay Park offer calm water beaches, so small children can wade without crashing waves, and you can launch a stand-up paddleboard or kayak without any fuss. Like a little friendly competition? Or just want to get active? Move on out! Since 1935, the corner of Seventh & D has been home to the Coronado Lawn Bowling Club. Try your hand; free twilight bowling takes place Thursday nights at 6 through Aug. 31. 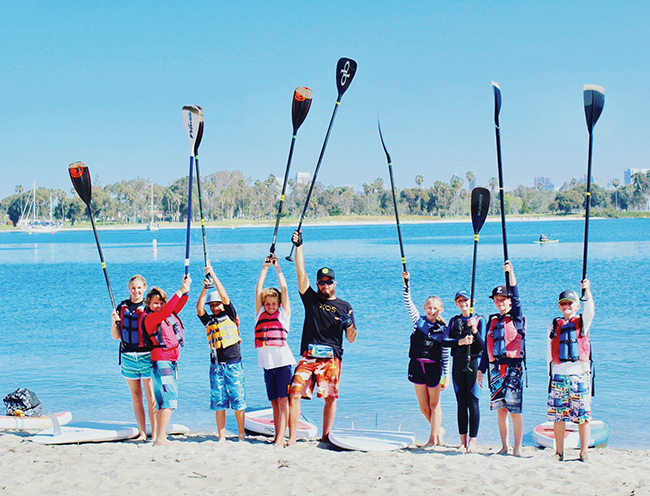 San Diego County residents can also receive a free lesson by appointment; call (619) 319-5509. Stay under par on world-class greens with scenic views of the San Diego-Coronado Bay Bridge. In addition to regular tee times, the 18-hole Coronado Golf Course offers summer twilight tee times starting at 3 p.m. for a discounted price. Call (619) 435-6590 for scheduling. Jutting into the ocean in front of the Hotel del Coronado is a jetty of rocks, once the foundation for the hotel’s pier, now home to tide pools full of small marine life. Explore the rocks to see crawling crabs and colorful barnacles and mosses, but be sure to leave sea creatures undisturbed. Take a quick jaunt down the Silver Strand to the end of Seventh Street in Imperial Beach, where you’ll find some of the best bird watching in the county. Work your way back up on foot (about a mile) to the South Bay Marine Biological Study Area where you can spot a large array of coastal birds. You, too, can celebrate our nation’s troops in any number of ways. Just around the corner from the Midway museum is Kansas City Barbeque, where you can get a huge plate of ribs surrounded by cult classic Top Gun memorabilia. Yes, this is where the movie’s famous piano scene was shot. Third and Fourth streets are now home to the “Avenue of Heroes” saluting Coronado residents who have honorably served or are currently serving in the U.S. military. Banners are changed every six months on or around Memorial Day and Veterans Day; soldiers honored are chosen via application by members of the Coronado VFW Post 2422 and the Coronado Historical Association. It is a fitting avenue for the tribute as the streets lead directly to and from Naval Air Station North Island. Star Park, so named because five streets radiate from its center, is home to two military canons, gifted from Gen. Joseph Pendleton, whom Camp Pendleton Marine Base was named after. The canons and a large rock taken from the Ocean Boulevard seawall and dedicated to Coronado’s veterans rest under the ever-flying American flag. Complete with towering magnolia trees and benches, Star Park is a peaceful place to commemorate those who have served. What locals refer to as “the sound of freedom” often is heard throughout the island. All sorts of Navy aircraft fly over Central Beach into Naval Air State North Island. At dusk, find a quiet respite not far from the Navy base and you’ll likely hear a recording of a bugle playing Taps. And on Sunday nights around 9 if you think you are hearing fireworks but don’t see them lighting up the sky, think again. That rat-a-tat-tat you hear is probably the beginning of another “Hell Week” training session for Navy SEALs. 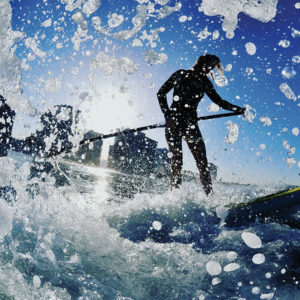 Stand up paddle boarding (SUP) is making waves on both the bay and ocean in Coronado. 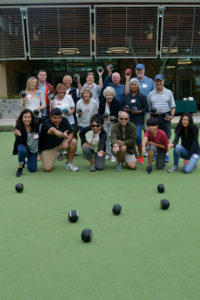 Try your hand at lawn bowling; free twilight bowl takes place Thursdays at 6 p.m.
Skaters can enjoy 16,000 square feet of bowls, ramps and jumps in Tidelands Park. 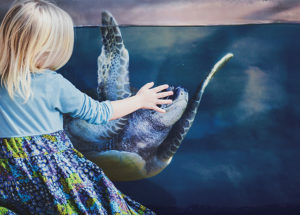 The Living Coast Discovery Center lets you get up close to sea turtles and other marine life. 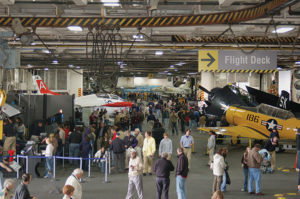 The USS Midway is ranked sixth best museum in the country by Trip Advisor. Interactive exhibits and tours bring the Naval marvel to life.